Whether you are looking to learn more about your existing trade area or you’re planning on moving to a new trade area we can help you make educated decisions that will aid your potential for success. If you need to better define your target consumers, we have a number of tools to help with that information gathering as well. Already have a database and want to find more customers like those you have already, we can help with that too. Feel free to contact us directly at 303.731.1416 if you have questions about what reports and analysis might be best for you. Wize business owners know their customers, their trade area, and their competition. Know where your BEST customers are located and find more like them! Tailor your product offerings to your customers! Connect with your potential customers! Find your competitors and learn more about them! If you are an enterprise that provides products or services to other businesses, these GeoWize packages will enable you to know where your potential customers are and develop strategies for reaching them. Find your B2B customers with GeoWize! If you are an enterprise that provides products or services to consumers, these GeoWize site selection packages will enable you to locate the perfect retail site. Locate your business with GeoWize! 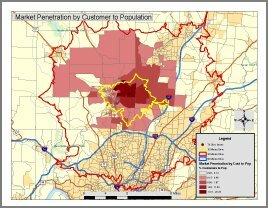 Analyzing customer demographics and geography enables us to locate areas with ideal demographic characteristics for targeting new customers. Profile your customers to identify more like them. Find your B2C Customers with GeoWize! Consumer market potential analysis can help you select potential locations for your retail business: clothing, restaurants, coffee shops, service business. Compare markets to find the best one for your business! 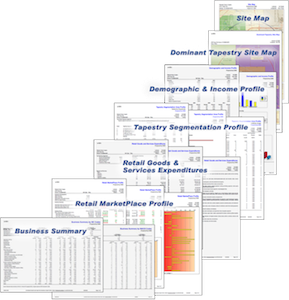 The Community Tapestry Market Segmentation is a consumer profiling system used to find more customers. Find and connect with more customers! Competitive intelligence is vital to making business decisions. Make better marketing, staffing, merchandising, and site selection decisions. Learn about our Competitive Intelligence Package! Discover consumer insights that target consumer spending, consumer drive times, sales potential, consumer household counts and more! 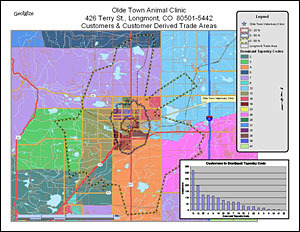 Get data driven results specific to your location(s). The database research EG National Strategic Research Team member is Access Information. For 27 years, Access Information has provided information research, document delivery services, library management, and records management services to attorneys and business professionals. Access/Information is one of the oldest, continuously-operating information professional companies in the country. Web EG provides web technology training for local economic development organizations. We train your business outreach staffs so that they can provide local businesses with the same first-level expertise on web and search engine marketing that they routinely provide in other areas such as business loans, entrepreneurial skills, employee training, etc. GeoWize provides site prospecting, market development, and market analysis services using the world-class, state-of-art geospatial analyst tools, demographic and expenditure data and a fourth generation customer profiling database. We can provide your organization with pilot project support, program startup services, training, and long-term GIS outsourcing services.